Move and pinch and fractals in real-time! Explore Mandelbrot and Julia sets on your iPhone and iPad. 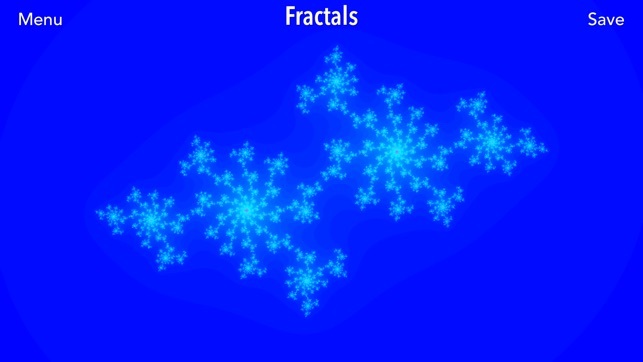 Select multiple fractal equations and enter your own values for Julia sets. 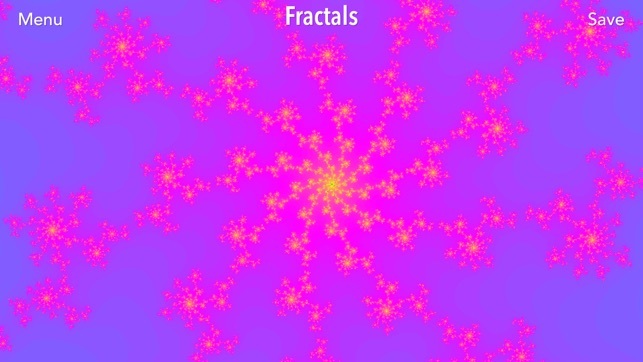 Save fractals to your photos to share with friends and collect them in your fractals album. "Shear aesthetic power opens a new art venue and opportunity to surpass all previous styles of ornamentation. The revelation of self- similarity across orders of magnitude is wonderfully illustrated here: the possibility of incorporating non-fractal elements remains an exciting potential giving a new perspective on perspective." 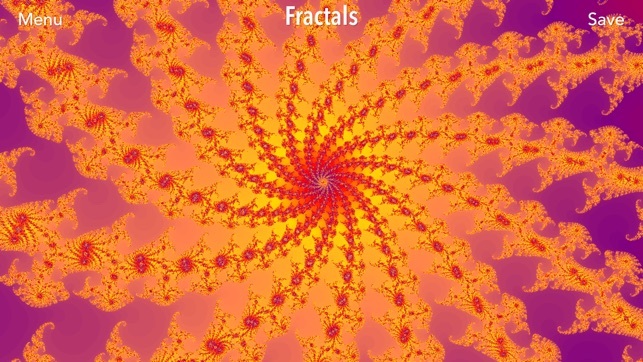 "Very fun app for creating fractals pictures on iPhone." "I am a color junkie. I am a math junkie. I am a pattern junkie. This app is perfection for me. The graphics are wonderful and the pattern flows are beautifully done. I could and often do, veg out on this when I'm problem-solving. Seems to trigger all the right neurons." 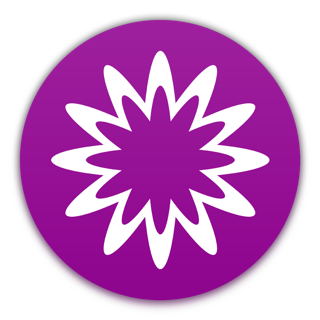 "Awesome app, and an excellent way for secondary teachers to inspire and motivate students to explore and understand post-calculus topics!!!" "I really appreciate this work. Certainly worth the price tag. Hope it grows with more possibilities and options." "With so many color possibilities and very fast I have saved hundreds of beautiful pics." 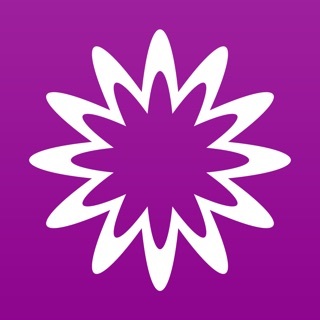 "I've almost been waiting my whole I-pad experience to find a fractal app!" "Render times are shorter than any other one I've used, does not go to infinity but you can spend 10 minutes trying to get there. Depth and technical options are much great. 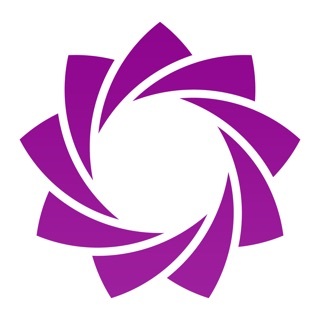 Buy this app!" "I absolutely LOVE fractals! It's amazing that math equations do all of this!" 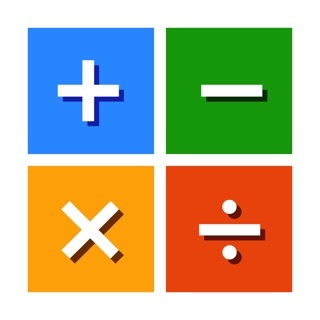 "This is an amazing App. It uses the iPad's multi-touch interface very intuitively. 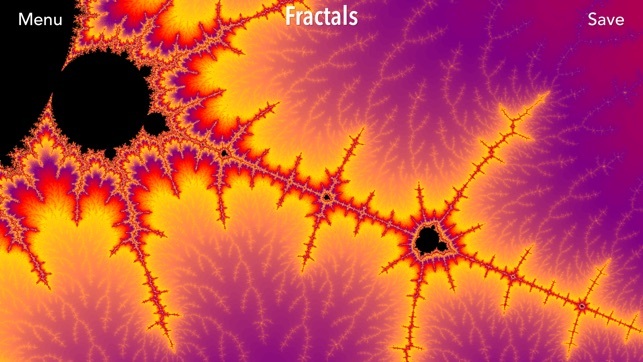 It's the best of the Fractal Apps I've found. I could spend hours playing and creating. The ability to save and quickly share makes it very fun." 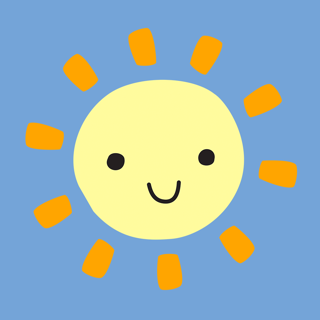 "This app is absolutely amazing. It has intuative controls and runs smoothly." "Thank you for working out so many kinks! Zoom is so much better and detail is improved! 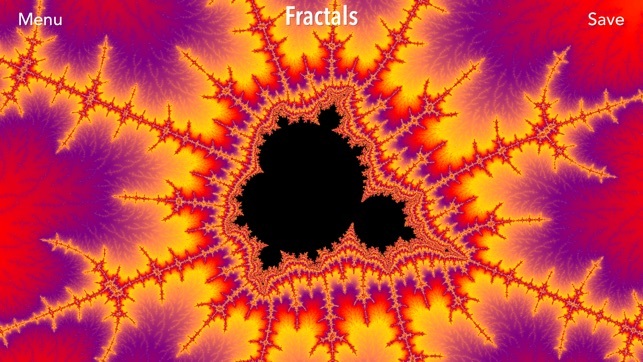 I love fractals and the improvements made this the perfect fractal app!" "That was the term Arthur C Clark used when referring to The 'M' Set, insomuch that one can see all kinds of various natural forms in this simple equation. Perhaps it's the formula used by nature herself when creating coral reefs, seahorses, elephants, ferns, and the plethora of familiar organic shapes revealed in a Mandelbrot zoom. This app is fantastic! The colors: Vibrant. The zooms go into infinity. 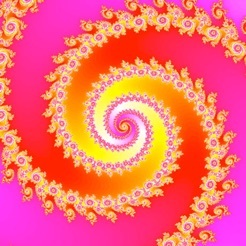 None of the 'crashes' one experiences in some of the lesser fractal generators out there. I LOVE it! 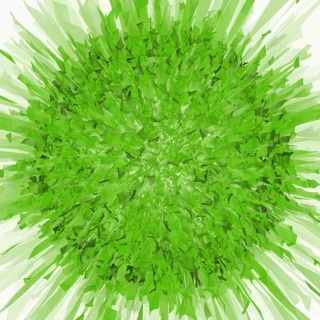 My favorite iPad app so-far." я приближал , до тех пор , пока полоски на экране не появились !! Не самое быстрое приложение. Уравнения можно вводить только для двух предустановленных видов фракталов, а не произвольное. И почему до сих пор нет поддержки Retina?